Good read! I got this book because I love Jane Fonda's movies. It did not even cross my mind that I knew she had been politically active. I really enjoyed this book and a shed interesting light on an actress and should a part of her personality I had not understood before. I really enjoyed listening to this book !! She's led a very interesting life and gives alot of really interesting insights into her recent journeys and what she's learned. I found it a bit preachy at points, but it flowed with the book since she really believes in her causes and their importance. Definitely recommend. FABULOUS! I am so glad I listened to Jane speak to me while I was alone in my car. It made the encounter so intimate and real. Thank you Jane for putting your thoughts, dreams, lessons learned in this audiobook. All the best to you in your third act! Interesting parts on her early life as a child of Hollywood with really NO family Life. 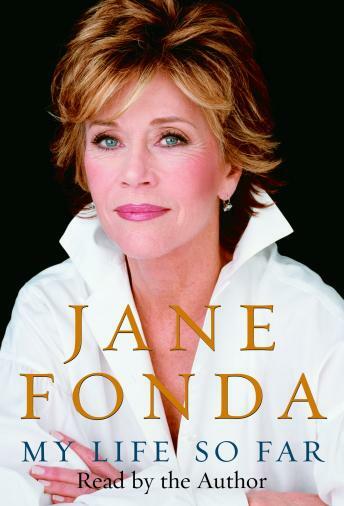 If you want to learn more about Jane Fonda and her life, it is ALL revealed in this very open and honest story of weakness and strength. It was interesting to hear about her thoughts, feelings and insights relating to some very controversial situations and public relationships. It truly makes this icon a real person who has had many victories as well as failures, just like the rest of us. I LOVE AUTOBIOGRAPHIES AND THIS ONE WAS VERY GOOD AND INFORMATIVE. I HAVE ALWAYS EMJOYED JANE FANDAS WORK AND ADMIRED HER ACTIVISIM.